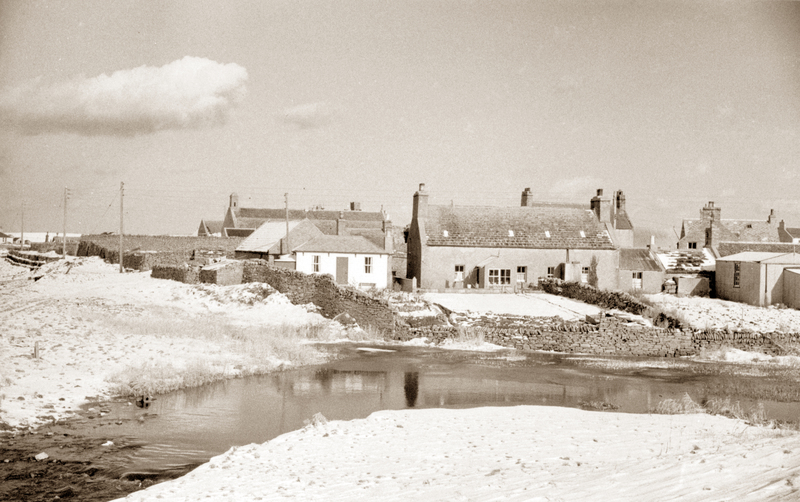 Lower Palace, Birsay from across the burn during the winter of 1964-5. The building with the porch was originally the old parochial school of George Robson. Sometime after the school at Oxtro was built, this became a private residence called Murrayfield. At the time of the picture, the owner was Jeannie Comloquoy. The wooded house to the left of Murrayfield was Robert Rendall's summer house.